AMONG the many cream and milk skimmers, this one is considered by housewives to be one of the best and most practical. 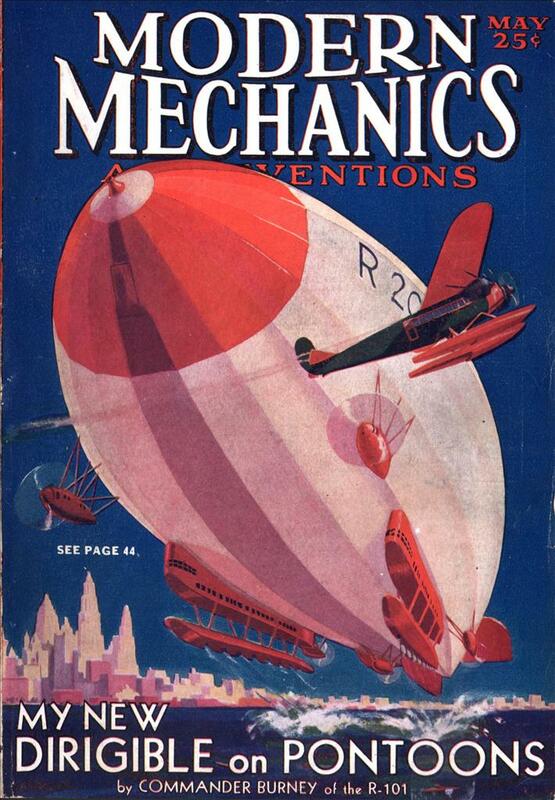 Simple in operation, it is entirely made of aluminum and is thoroughly sanitary. When cream is desired, the aluminum tube is let down into the bottle to the depth of the cream. 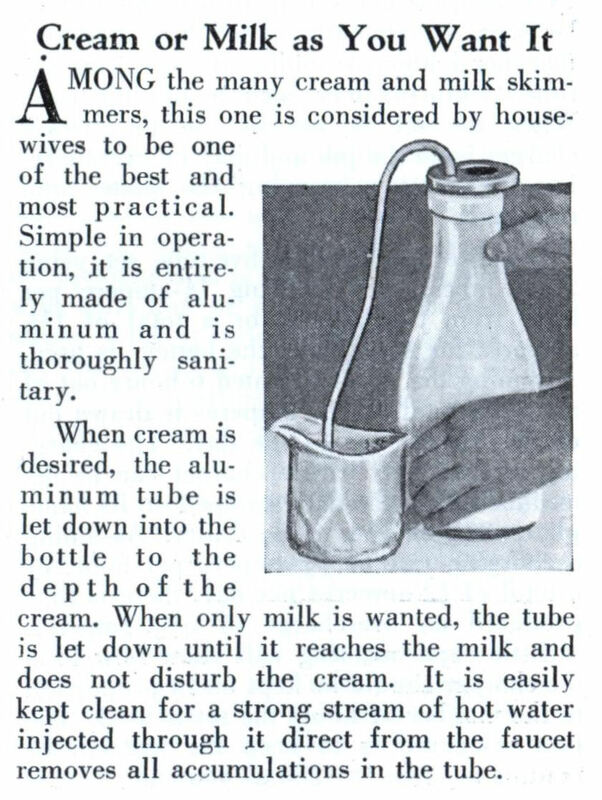 When only milk is wanted, the tube is let down until it reaches the milk and does not disturb the cream. It is easily kept clean for a strong stream of hot water injected through it direct from the faucet removes all accumulations in the tube. If this is a siphon, how does one get the flow started? Or they could provide an airtight seal at the top of the bottle and inject air to pressurize the bottle and thus deliver the liquid. Neither solution seems to be documented at all…why bother with actual details? It looks like you might blow into the hole in the top to get it started? 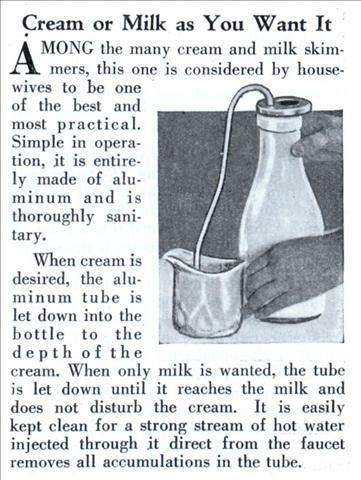 It wouldn’t take much effort, if most of the milk was still in the bottle.